The Standing Stone: Little Curragh V, Barrow, Co. Kildare. 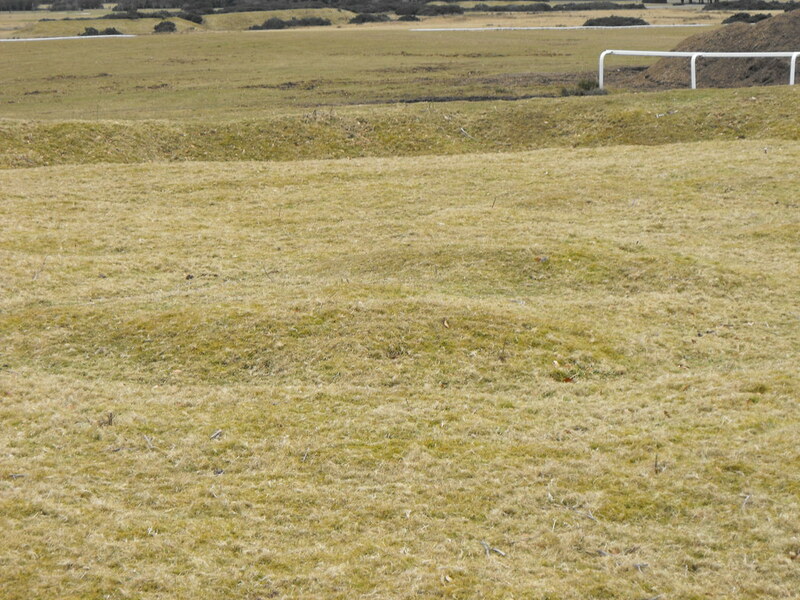 Little Curragh V, Barrow, Co. Kildare. Location – At the end of a trackway that terminates by this barrow. Description and History – This is the best preserved of all the barrows on Little Curragh with a wonderful causewayed entrance on the S side. It is pretty huge and is between 20 and 25m across with a large bank and internal fosse. The bank is about 1.5m high and is well preserved on all sides. 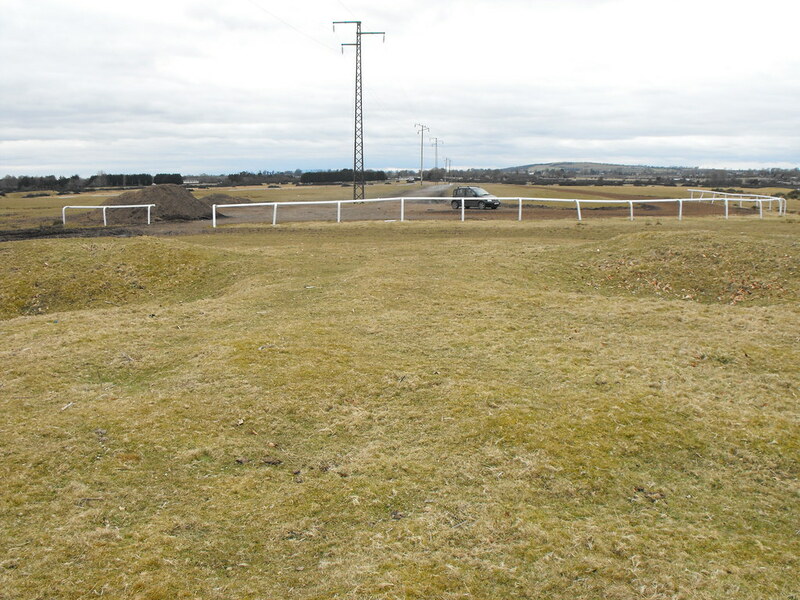 Tom FourWinds over at Megalithomania has doubts as to whether is actually a barrow and suspects it may actually be a henge because of the internal fosse and causewayed entrance. Whatever the answer it is a very well preserved site and great to see. 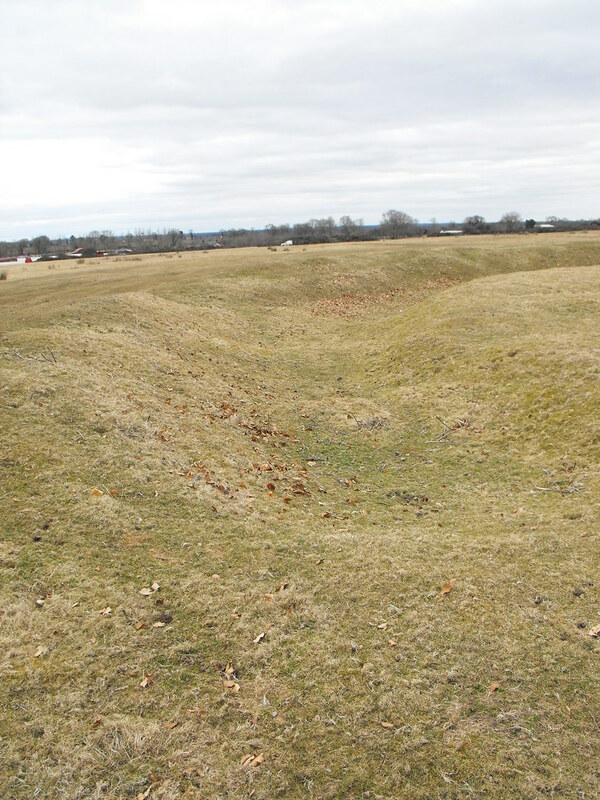 There are some small bumps in the centre of the mound which may be the remains of some structure underneath the mound. This was the first of the barrows that I came to on my visit and was a good place to start. Difficulty – Easy to spot and find. This barrow is pretty big. For the Little Curragh V main menu, click here. 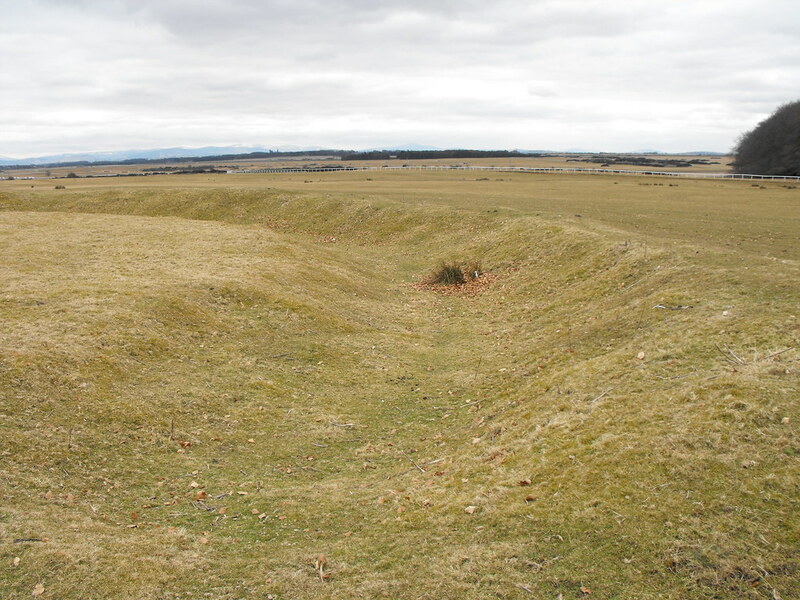 Panoramic of the whole barrow. The strange bumps at the centre of the barrow.